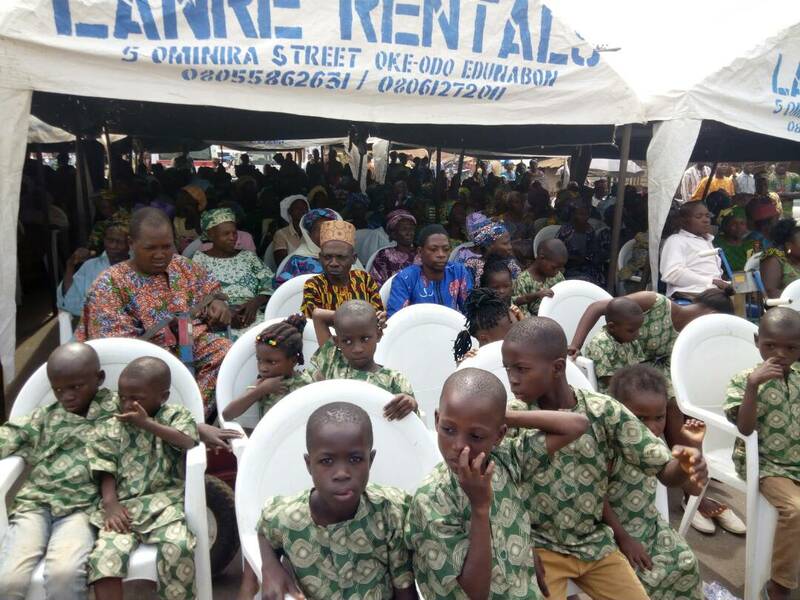 The beneficiaries included 100 farmers, 50 widows,70 senior citizens, 80 commercial motorcyclists, 100 artisans, 30 orphans, people living with disabilities and 40 vulnerable individuals. 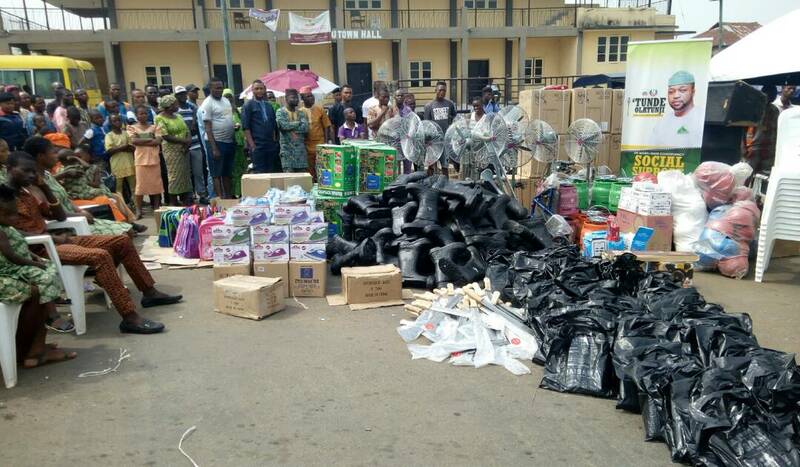 Some of the materials distributed were, cutlasses, farm sprayers, rain booths, table size fridge, Omoluabi scales, Gas Cooking Warmer, school bags for the orphans, Clippers, Helmets, standing fans, ceiling fans, as well as cash gifts and cloths to widows and elderly women, among others. Speaking at the event, Hon Olatunji said the empowerment programme was in fulfilment of his campaign promises to his constituents. Olatunji further explained that the initiated programmes and policies aimed at alleviating the sufferings of the people. 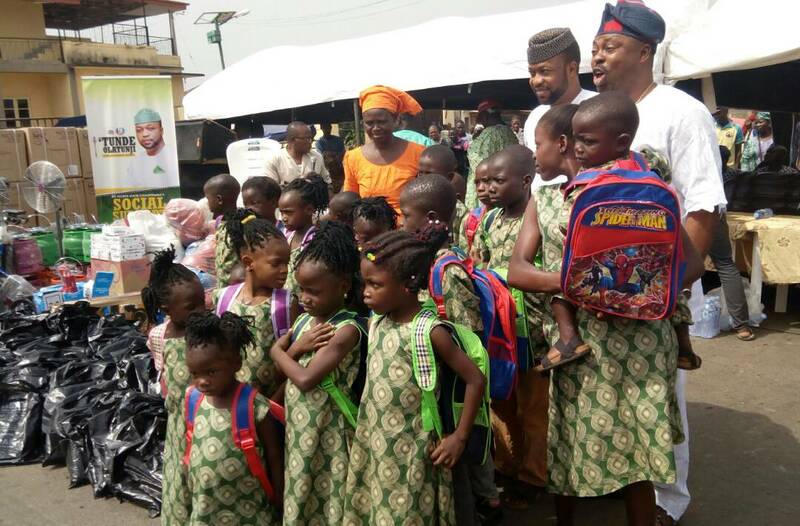 He said the distribution of the materials was part of his gesture to give back to the society and empower his constituents especially in the agricultural business. “This distribution is as a result of baseline studies of the need of the people in my constituency, materials are not just being distributed, they were chosen after due consultation. While reiterating the commitment of the present administration in the state towards the general wellbeing of the people, he pledged his continuous support to the people, as he urged other public office holders to follow suit. He therefore urged people of his constituency to support the present administration in the state in its quest to reposition the state for socio economic development. He then assured those that were yet to benefit from the gesture not to be discouraged, saying that he would soon roll out similar empowerment programmes for them. The leader of the house, Hon Timothy Owoeye, who also graced the occasion commended Olatunji for putting up such a programme and for having the interest of his people in mind. Describing Olatunji as an astute and vibrant lawmaker, Owoeye said there was need for other lawmakers to emulate good gesture of the Edunabon born politician. He noted that the constituency social support programme initiated by Honourable Olatunji was a laudable initiative. Two of the beneficiaries, Mr Ojo Olufunsho and Lasisi Agbeleye expressed their gratitude and happiness to the lawmaker, and prayed for him.